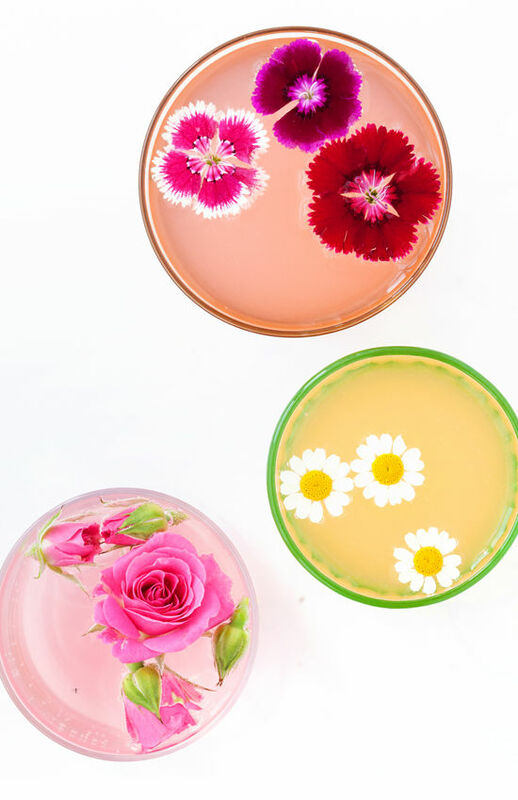 colorful summer cocktails with flowers?! what could be better. they’d make the perfect start to a dinner party or a sweet addition to a weekend brunch or shower. cheers, friends! combine all ingredients over ice and shake. 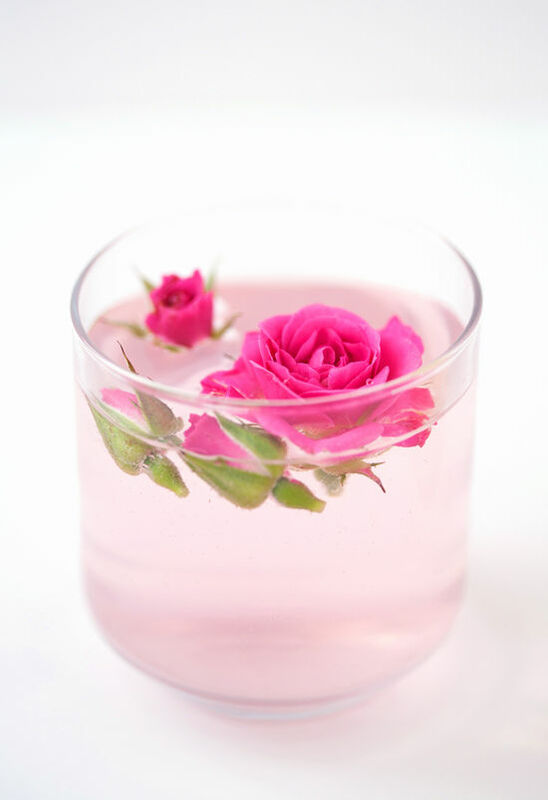 top with rose for garnish. yield 1 serving. steep tea bag in hot water. stir in honey and let sit until cool. combine with whiskey over ice. 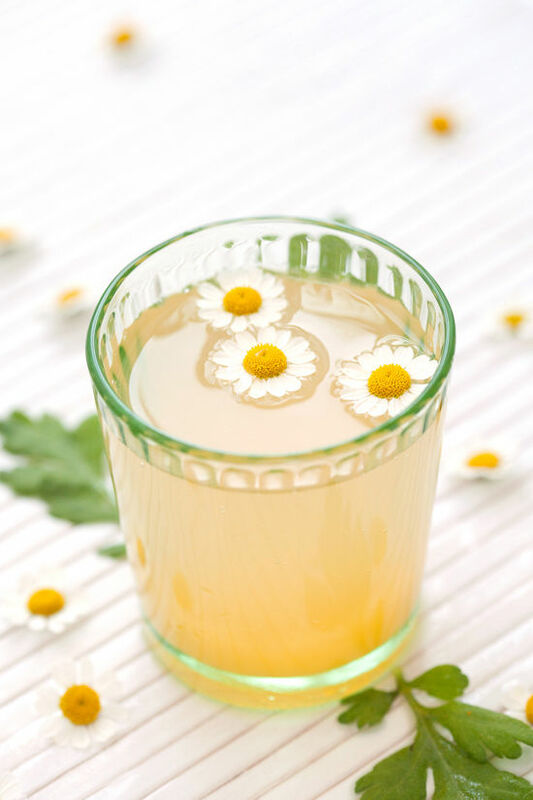 add fresh chamomile for garnish. yield 1 serving. combine all ingredients over ice and mix. 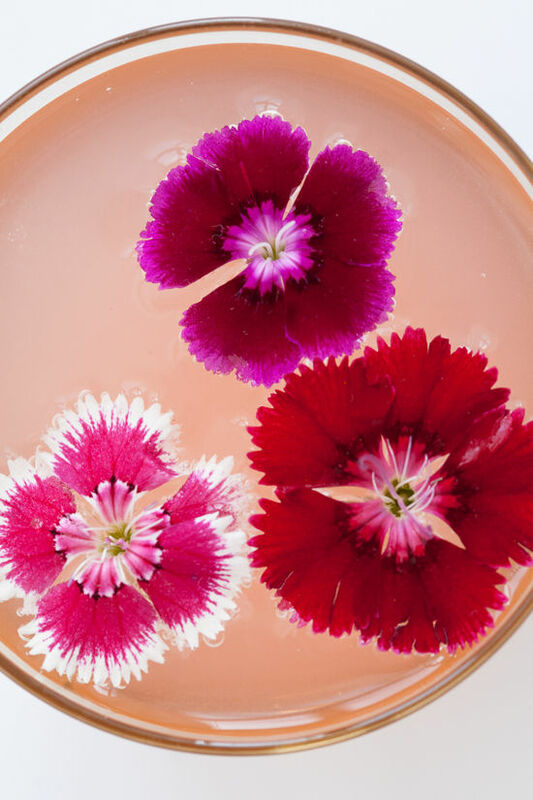 add flower (these are diantus) for garnish. yield 1 serving. 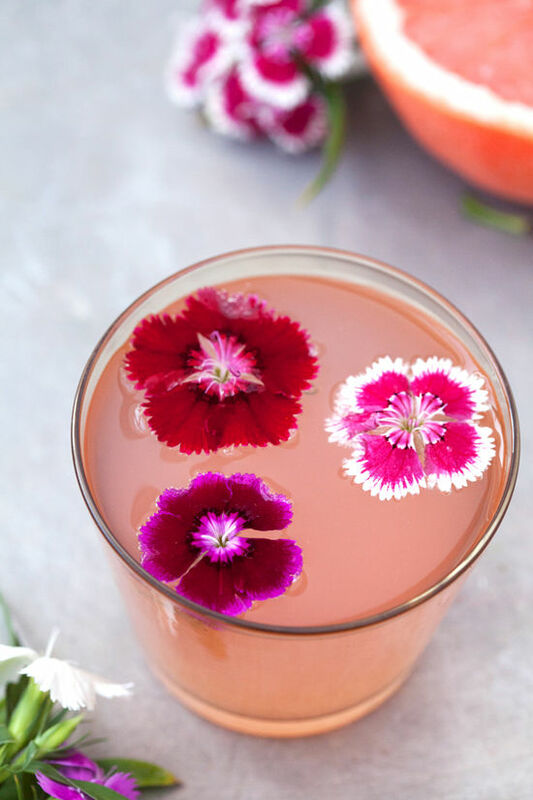 into edible flowers? check out this pretty cake idea! 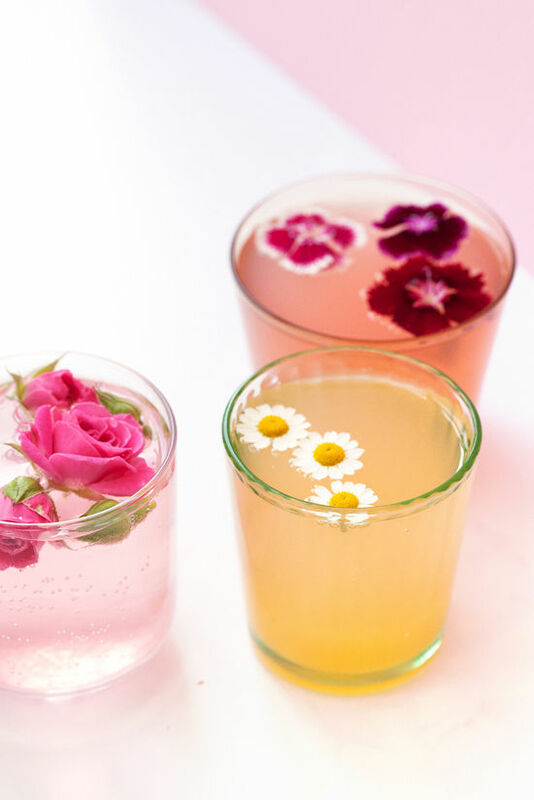 Gorgeous photos – can not wait to make these for my friends this weekend – farmers market for flowers pronto!! Sheila you photos are so beautiful!! SO pretty! 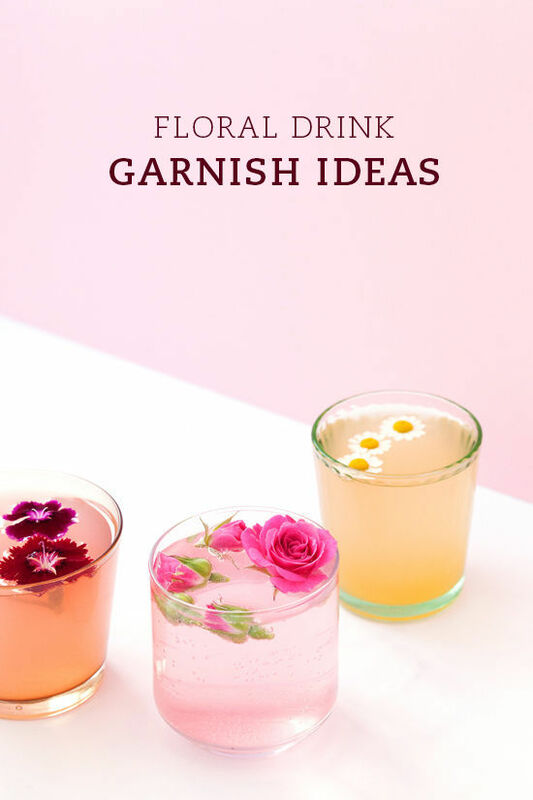 I think it’s worth nothing that although you aren’t necessarily eating them, it’s really important they are pesticide free as any chemicals will seep into the drinks! I know you mentioned they should be organic, but thought it was worth saying why, as people might just assume that you are just promoting an organic lifestyle. absolutely gorgeous! such a lovely idea for hosting a brunch or a shower. Okay, wow. 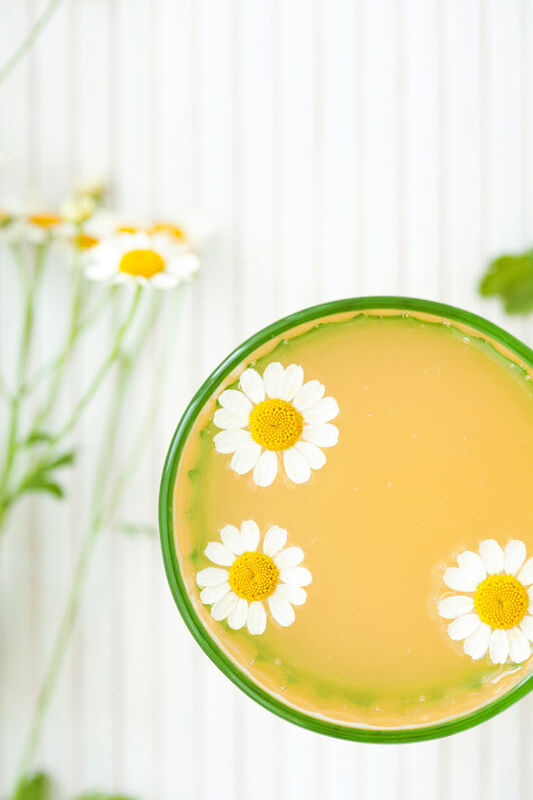 This might be my favorite food/drink post you’ve ever done! So beautiful. Can’t wait to try! Absolutely beautiful! Definitely want to try the rose water one, it’s such a lovely flavor that you don’t see often enough. lol, styling with flowers that I can’t eat is SO something I would do just because they look so darn pretty. So beautiful! Great job! 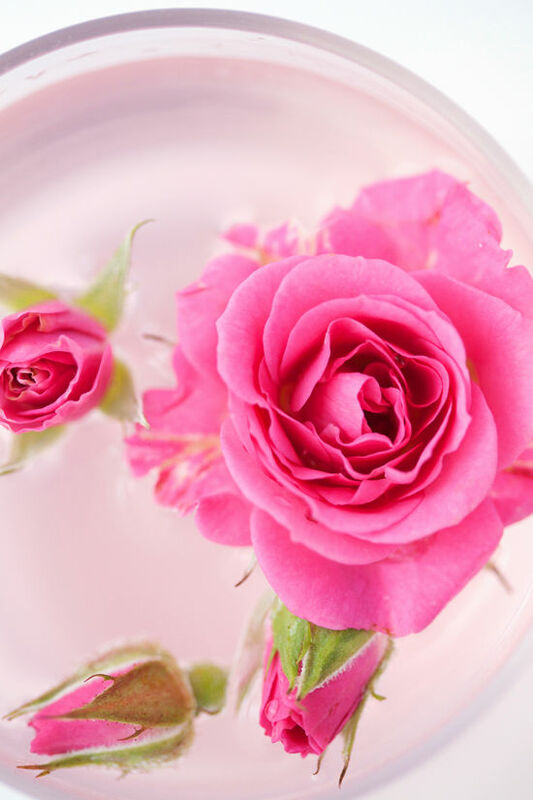 I have frozen these types of flowers in large ice cubes and put into water or sparkling water. This is for those who may want a non alcohol version. Just a thought! Love your blog dearly! LOVE LOVE LOVE!!! Can’t wait to have a girl party w/ these pretties!! Any idea where the pretty little glasses came from? Thanks! 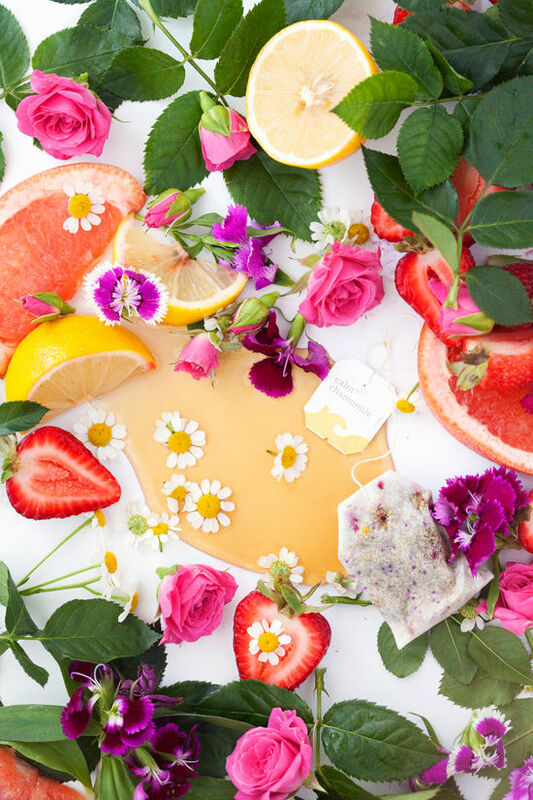 This is a stunning post — I’ve been obsessed with flower garnishes all summer! Absolutely stunning and I bet they taste good, too. These are going on the “to drink” list. this topic for a while and yours is the best I’ve came upon till now. However, what concerning the conclusion? Are you positive in regards to the supply? These are gorgeous! Love the colors and the flowers you chose!